LAUSANNE, Switzerland – The World Baseball Softball Confederation (WBSC), the world governing body of the sport, today announced the cities and dates of the 2016 baseball world championships, which include the U-15 Baseball World Cup, the U-21 Baseball World Cup and the Women's Baseball World Cup. The III WBSC U-15 Baseball World Cup 2016 will be staged in Fukushima, Japan from 29 July to 7 August. The WBSC U-15 Baseball World Cup platform features 12 nations, qualified by continent, and is the pinnacle international baseball competition for players between the ages of 13 to 15, with the most elite players selected to represent their countries on the world stage. This 2016 WBSC U-15 Baseball World Cup will be taken to Fukushima, in collaboration with the Baseball Federation of Japan and city authorities, in an effort to help raise awareness and support the region's continuing recovery following the 2011 quake-tsunami disaster. "It is an honour and a privilege for the WBSC to have the 2016 U-15 Baseball World Cup staged in Fukushima, Japan," said WBSC President Riccardo Fraccari. "WBSC and all of our partners are fully committed to playing whatever role we can to bring the benefits and universal values of sport to help shape a better society and symbolise a brighter future. If our sport is able in any way to help recognise the ongoing recovery and lift community morale, it will be a great duty and honour, as well as an important cultural experience for our young athletes." Staged every two years, the world No. 3 Cuban U-15 National Team defeated then top-ranked U.S. in the finale of the 2014 WBSC U-15 Baseball World Cup to win the world title, while No. 10 Venezuela earned the bronze medal. Dates of the II WBSC U-21 Baseball World Cup 2016 – which will be staged in Sinaloa, Mexico – have been revealed as 17-26 June. The U-21 Baseball World Cup backdrop will be the new crown jewel 20,000-seat stadium of the Mexican Pacific League's Culiacan Tomateros professional baseball club. The Mexican Baseball Federation, in conjunction with the government of the State of Sinaloa, will host the U-21 world championship. World No. 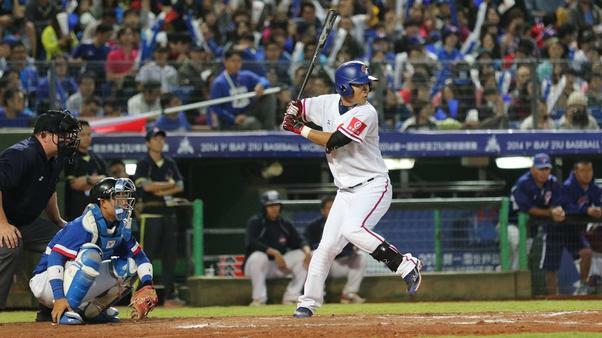 4 Chinese Taipei defeated Japan in the 2014 finale to be crowned the first-ever U-21 World Champions, while No. 8 South Korea captured the bronze. The VIII WBSC Women's Baseball World Cup 2016 will take place from 3-11 September in Gijang City, South Korea and will be expanded from eight competing National Teams to twelve. The Women's National Baseball Team of Japan, "Madonna Japan", are the four-time defending World Champions. The expansion of the Women's Baseball World Cup comes after the historic introduction of women's baseball on a multi-sport platform, the 2015 Toronto Pan American Games where the U.S. Women's National Team captured the first-ever gold medal by defeating host nation Canada in the finale. "This is an unprecedented time for the growth and globalisation of our sport, and WBSC takes very seriously its role to expand opportunities for our women athletes who want to shine and showcase their skills at the world level," said President Fraccari.